The following article was submitted by Raidon. The opinions expressed below do not represent those of Ani-Gamers or its affiliates. The Orange Box is a collection of 5 most delicious games for the price of only one. 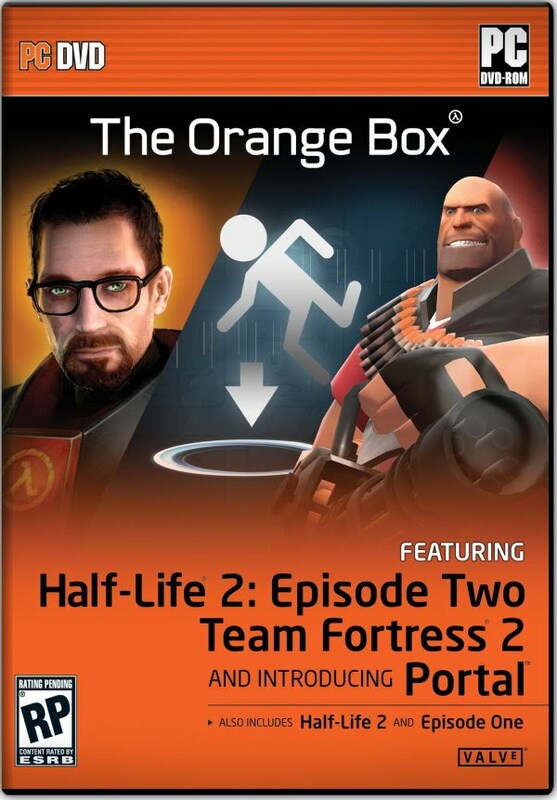 These games include Half Life 2 (the original, Episode 1, and Episode 2), Portal, and Team Fortress 2. Half Life 2 is like the Zelda of first-person shooters; It's not all blasting and dodging bullets. From the beginning you find that you have to solve challenges as you progress to either evade the Combine totalitarian police or the headcrabs and their zombie-like hosts. Your weapon set is your basic pistol-AR-shotgun-sniper-grenade setup, where you choose the right weapon for the right situation. However, you will probably find yourself either swinging away with your crowbar or screwing Issac Newton with your all-purpose gravity gun. Graphics, physics, and sound are all amazing. They're not on the same tier as Oblivion, but also not as hardware heavy. Portal can possibly only be described as a first-person-puzzle. Again, you have to solve all your puzzles by taking advantage of your ability to deny the laws of physics. The map designs, although simplistic, really set the mood for the game and go parallel with the strangely deep storyline of the game. Although it seems confusing at first, GLaDOS will ease you into the world of Portal. My suggestion is to pick this game up first, as it teaches you the fundamentals of solving problems in 3D without having to worry about fighting an army. Team Fortress 2 has everything anyone can ask for in an FPS fighter. Multiple classes with different fighting styles, several gametypes, and downloadable content all make this game worthwhile. Following the same visual style Disney's "The Incredibles," it feels not as if you are killing other men, but rather that you are in a jam-packed comic book. Cheating is impossible in this version of Team Fortress, making it a fair fight. But be warned, this game is not for noobs on the FPS circuit; run-and-gun and pray-and-spray tactics won't work. Get it. It is a great deal for 5 excellent games, but you have to have a middle-strength PC to run it comfortably. Buy this if you are a fan of the Half Life series, puzzle games, FPS games, or if you just like to screw around. Don't get this if you want an easy game to play for five minutes at a time.